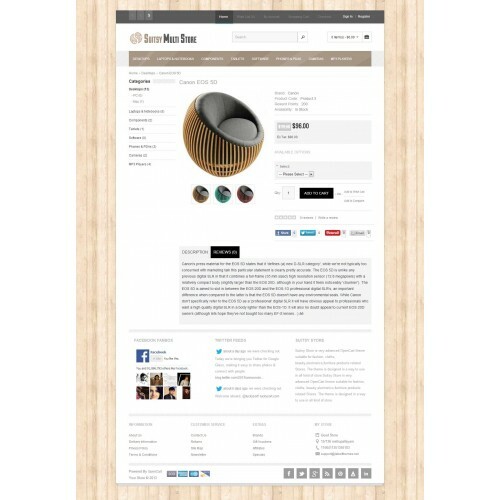 Suitsy Multistore Responsive is a very advanced OpenCart theme suitable for Furniture,floors,interiors products related Stores. The theme is designed in a way to use in all kind of store. It is fully responisve theme and display product beautifully in all kind of mobile devices . 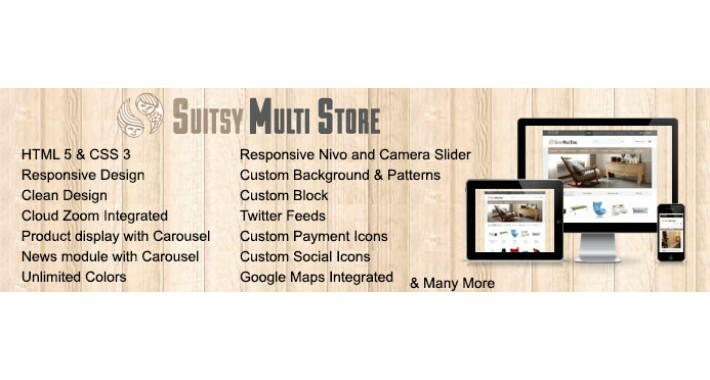 Whether you're looking for a new skin for your existing Opencart based store or a template to modify for your client, Suitsy Multistore Responsive is the right choice. 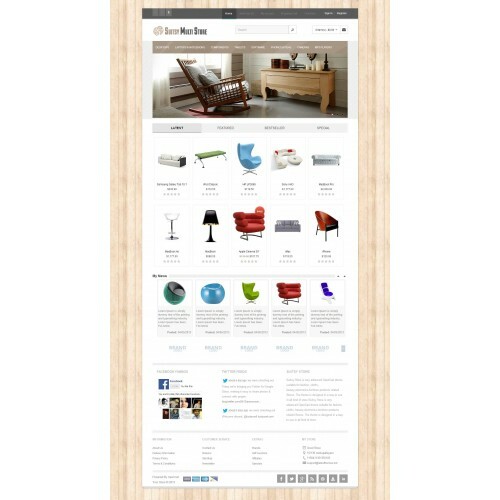 Click Here to Store Demo Opencart 2.0. -Two responsive Slider included Nivo Slider and Camera Slider .You can select your preferred slider from theme setting module itself. -News Module is added to display information. 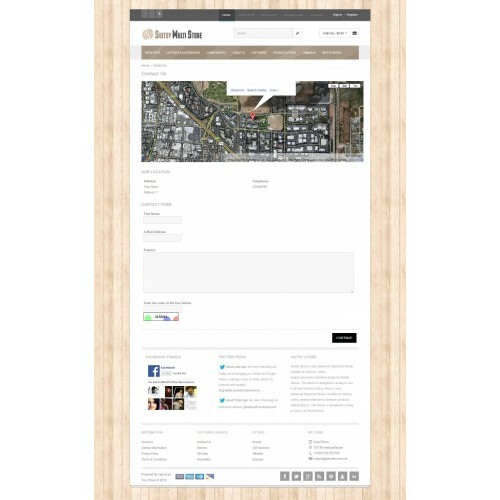 -Product slider is added for latest,featured,bestseller and Special. -You can Change theme colors from admin panel . you can select different colors for many fields of your store. -You can set body background color, or choose from 40 background patterns included in your theme or you can also upload your own background image with your preferred settings. -You Can choose sale ribbon banner from 6 predefined images. 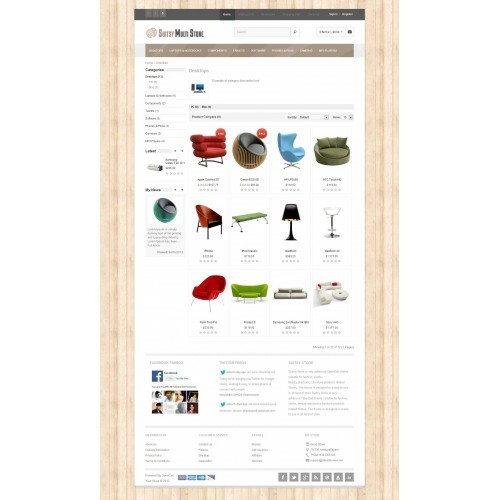 -Cloud Zoom is integrated for the product display page. -you can add payment images from theme settings to be displayed in footer , we have included many payment icons for you to add. We provide free support for our extensions and we do installation support also.